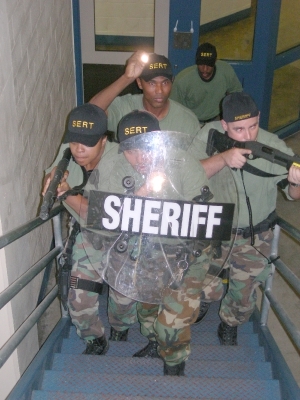 The Jail Division’s Security Emergency Response and Tactics (SERT) Team was founded under the administration of Sheriff Hal McKinney in 1983 in response to the ever-increasing challenges imposed by overcrowded conditions and a swelling inmate population. 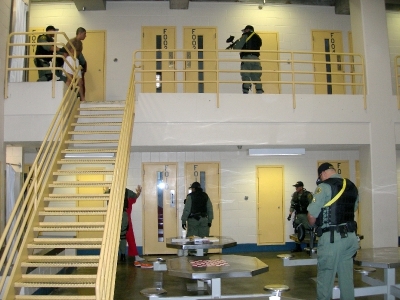 Fires in the downtown facilities had become an almost routine occurrence, and firefighter attempts to extinguish the flames were thwarted by the adverse actions of inmates throwing objects and blowing darts through jail-made blowguns. The SERT Team was called upon to remove the inmates from the burning areas before fire personnel could enter the housing units to extinguish the fires. 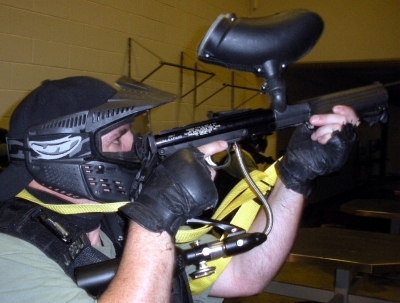 The SERT Team was initially comprised of donated equipment, volunteered time and money, and many hours of hard work. 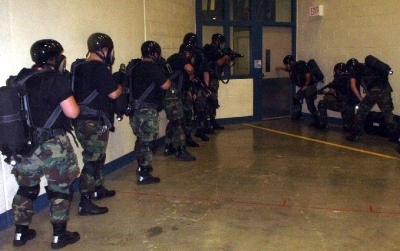 It has evolved into a well-organized, well-equipped and highly-trained tactical unit that plays an instrumental role in ensuring the safe and orderly operation of the Jail facilities. 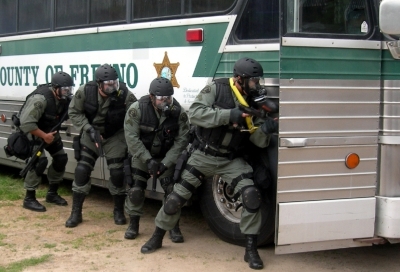 The Team is comprised of 16 officers and four sergeants, commanded by a lieutenant. Members are comprised of highly disciplined and experienced officers who have demonstrated the ability to perform well under stressful situations. All members participate in specialized training to ensure proficiency of essential skills and critical incident readiness. 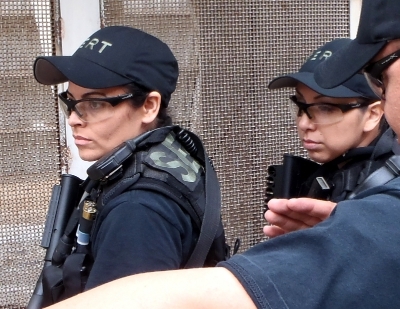 In addition to their regular assignments, Team members are on-call 24 hours a day, 356 days a year to respond to critical incidents within the Jail facilities. 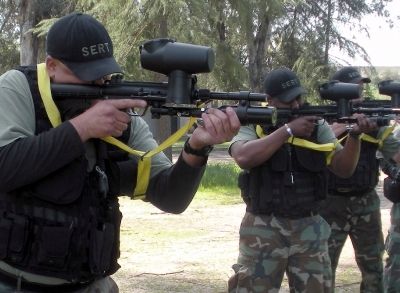 SERT’s primary function is the immediate response and quelling of inmate disturbances. 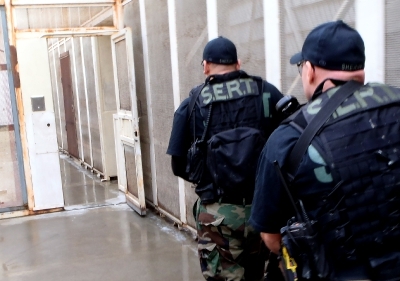 In addition to increasing custody challenges, the Sheriff's Office continues to face potentially life-threatening situations involving an even higher level of sophisticated inmate. 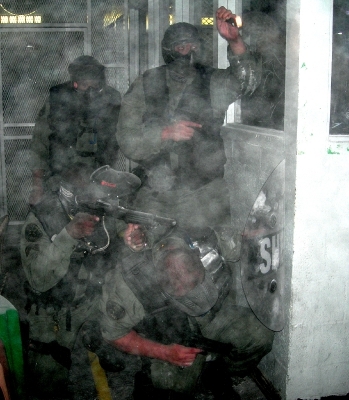 The Team responds with specialized weapons and tactical training that enables them to suppress any facility threats.